There is a lilting quality to Budapest that changes to crashing crescendos as one visits different parts of this medieval city. 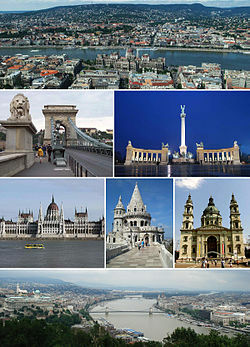 Budapest has been prey to many conquerors…the Mongols, the Turks and more recently – the Germans and then the Russians. Now it has been restored to its own people, the Hungarians who arrived to create their first settlement early in the 9th century. This beautiful city straddling the Danube has much to offer to visitors and residents alike. 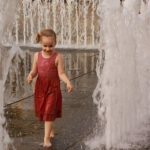 Not only is it considered the financial hub of central Europe but offers a quality of life that is enjoyed by many. 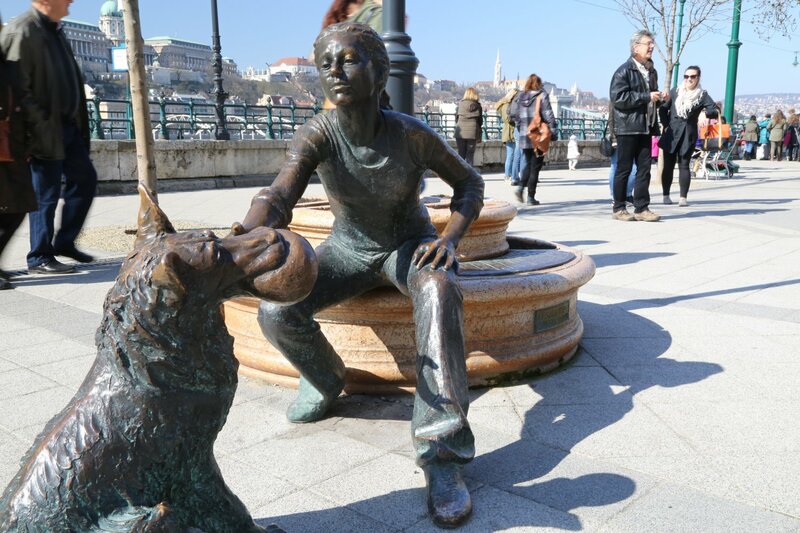 I recently visited Budapest and spent time wandering the winding streets both in Buda and across the river in Pest. Each side of the river is unique. Pest is the heart of Hungary’s commercial empire with tall buildings, large shopping areas and best of all, an enormous market. There are fabulous bus and tram ways which get you anywhere you wish to go with an efficient get on, get off system. Buying a pass or travel ticket is easy and advisable – if you get caught without one, dire consequences ensue (on-the-spot fines)! The trams run along the banks of the Danube and offer startling sights of the fabulous Buda Castle and its surrounding of tiered hills lush with greenery. Andrassy Avenue dating back to 1872 and now a World Heritage site is lined with prominent neo-renaissance mansions and luxury boutiques and is the one of the main shopping streets in Budapest. 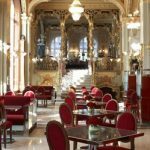 There are the fabled coffee houses strung along the way to tempt you with Hungarian sweet treats and coffees. Close to Andrassy Avenue is the second largest synagogue in Europe; it is filled with treasures and always mobbed with people! Not too far away is a lovely courtyard adjoining another holy place where a silver weeping willow tree bears the family name on each leaf of a Holocaust victim. The tree was donated by now deceased actor Tony Curtis whose family came from Hungary. 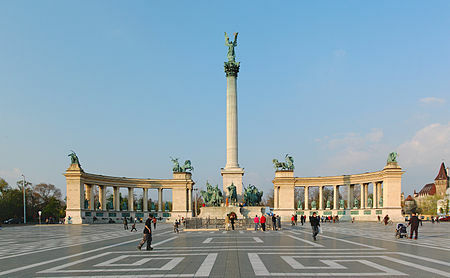 Heroes Square is surrounded by several museums of note – namely the Palace of Art and the Museum of Fine Arts. This enormous square contains bronzed statues of Hungary’s heroes – some mounted on noble steeds dressed in the costumes of their time period. It is well worth an effort to walk around and read about the many triumphs of these masters of war and chivalry – especially the seven Magyar chieftains who entered the Carpathian basin and founded the Hungarian nation. 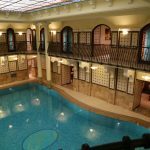 Because of the geothermal springs and the world’s largest thermal water cave system, there are a multitude of bathhouses in Budapest. Enjoying the relaxation and health giving waters of these springs is a must and thanks must be given to the Turks in the 17th century who built the baths for their own enjoyment, a custom that has been passed on through many generations. It is a wonderful experience to let the waters flow softly over one’s body and feel the relaxation spreading through every cell! Another fabulous property is the Four Seasons Hotel (formerly the Gresham Palace). Built in 1906 it has now been restored to its Art Nouveau and Secessionist grandeur. The glass mosaics, stained glass windows, wrought iron railings and peacock gates were all created by talented Hungarian artists and craftspeople. Over the Chain Bridge is the more ancient Buda. Here the greenery seems to shoot up into the sky as if guarding Buda Castle and the city that has grown up around it. Yellows and blue, green and red are painted on the homes some of which were built hundreds of years ago. Here is found a lilting quality of life as people seem to slow down on this side of the Danube. It is the home to many artists, writers and those who create pictures from their hearts. Exploring Buda Castle and the labyrinth below is exciting. The castle first built in the 1200’s has gone through repeated destruction and rebuilding by the Hungarians, the Ottomans and the Palantines. But now it is totally restored and houses several museums and the National Gallery. You can wander from room to room enjoying the paintings and furniture from earlier times while down below in the labyrinth the stalactites and stalagmites hang from jagged rocks or pierce up into the murky depths. Such a contrast to the beauty above ground! Although I was fortunate to stay at a friend’s loft in Budapest I did find a great hotel that I would like to stay at when I revisit this wonderful city. The Lokat Inn is on the Buda side. Another option, the Mercure, is centrally located and appeals to business travelers. I would like to thank the front desk staff at the Mercure, Budapest Duna who were so helpful in answering my questions and providing logistical advice. By road: Get a map!